While the Blue Jays' dismal start to the season has led to speculation about dismantling the roster, the team has another rebuilding project on its hands: upgrading its outdated stadium. It looks like the Toronto Blue Jays may have two impending rebuilding projects on their hands. While the Jays' dismal start to the season has led to speculation about dismantling the roster and starting over again, the team's aging ballpark is also in line for a major facelift. 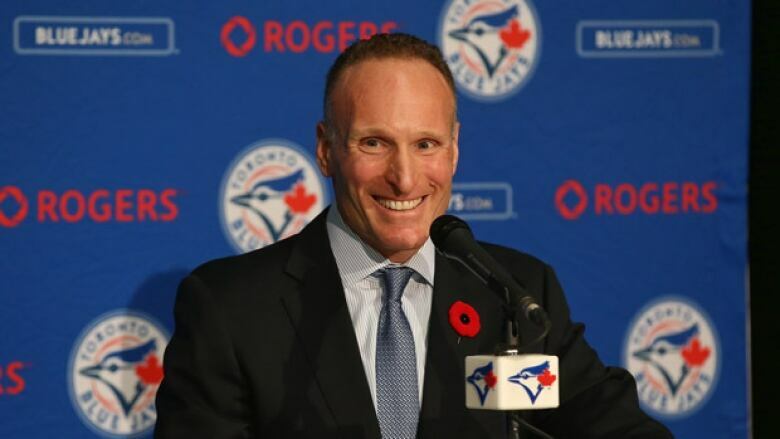 The 28-year-old Rogers Centre (née SkyDome) is one of the most outdated stadiums in Major League Baseball, and Blue Jays president Mark Shapiro hopes in the coming years to inject new life into the retractable-roof venue. 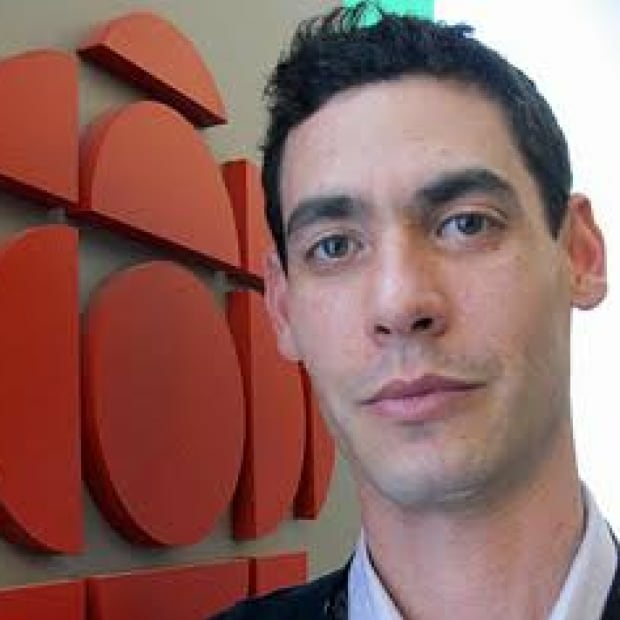 "We will still be in Rogers Centre, but it will have undergone what I hope is a re-envisioning," Shapiro told CBC Radio's Metro Morning. It won't be Shapiro's first "re-envisioning." During his time as the Cleveland Indians' president, he led the retrofit of Progressive Field. That renovation included a reduction in seating capacity, more bars and restaurants and a pedestrian bridge that allows people outside the ballpark to catch a glimpse inside. Shapiro acknowledges the Rogers Centre presents unique challenges. "[It's] a multi-purpose stadium designed in a different era for a variety of alternatives and at a time when people consumed both media and sports differently," he said. A renovated Rogers Centre would better meet the demands of the modern fan, Shapiro said. "It would be a ballpark, and by a ballpark I mean it would have character, it would provide different experience for different types of fans that come for very different reasons to the ballpark." If you love classic parks, the SkyDome could hardly have been built at a worse time. A poster child of 1980s excess, the venue combined the massive size and soullessness of the utilitarian, multi-purpose stadiums it sought to replace with (at the time) flashy amenities like a hotel and a Hard Rock Cafe. Just three years after the SkyDome's 1989 opening, Toronto baseball fans and purists cringed as Baltimore's Camden Yards ushered in a new era of ballparks rooted in throwback architecture and coated in nostalgia. Nearly three decades later, the trend persists, and the Jays will finally try to tap into it. Last year, the Blue Jays and Rogers Communications, which owns the team, put a call out for architectural and design firms to submit their best ideas for revamping the stadium. The team has selected a firm, but it hasn't been made public and no early renderings revealing how this project might take shape have been made available. The Blue Jays also haven't confirmed how much they'll spend on the project, but initial figures suggest something in the $250-400 million range. Toronto architect Mark Berest — a principal at B+H Architects who has worked on several stadium projects, including Regina's Mosaic Stadium — knows what he would do with the Rogers Centre. Berest would start by "invigorating" the space outside the stadium, "bringing more retail, more parkland, more development… making connections to other public spaces, maybe even to [nearby Lake Ontario]." "Those things are very important to the vitality," he says. "You can see with the Air Canada Centre, what the Raptors [and Maple Leafs] have done outside and how that's working so well in terms of those public spaces." The challenge for the Blue Jays is that the team owns very little of the land surrounding the dome. Still, they say that space is part of the renovation plans. 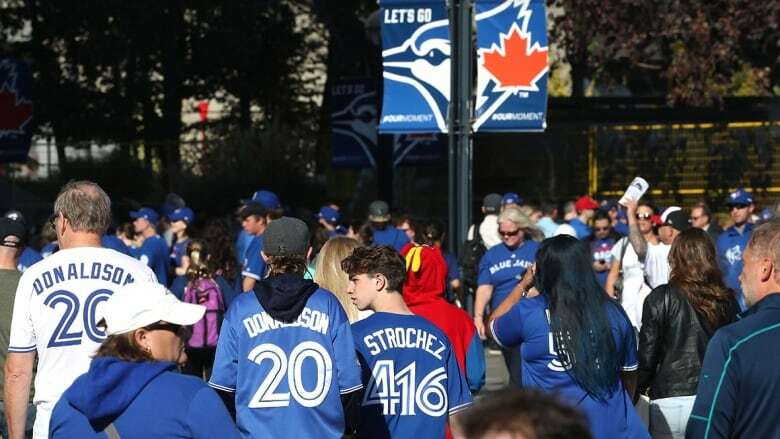 "That is definitely one of the things we've talked about, the journey of how fans get to the ballpark," says Sebastian Gatica, the Blue Jays' VP of fan engagement. "Some just want to come in. For others it's an event, a social thing." "We've done research to see who our fans really are, their habits, their rituals. This is a fan-centric project to enhance their experience." To that end, a group of students at Western's Ivey Business School has a few ideas. 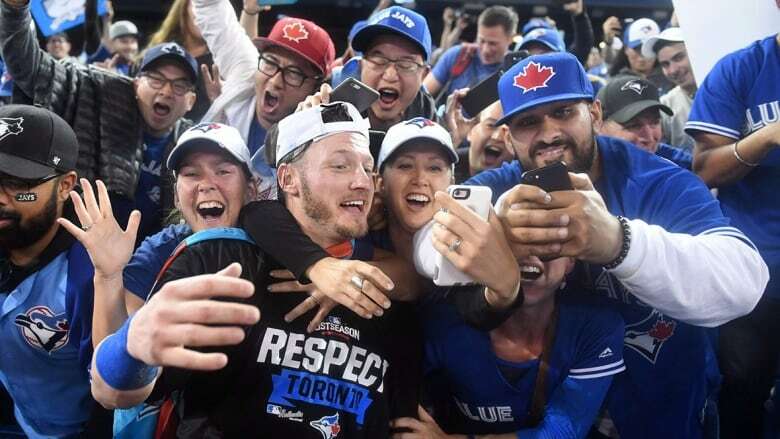 Given 36 hours in a contest to come up with a way to enhance the fan experience at the Rogers Centre, the winning team's idea was to issue wristbands for fans to wear to the games. 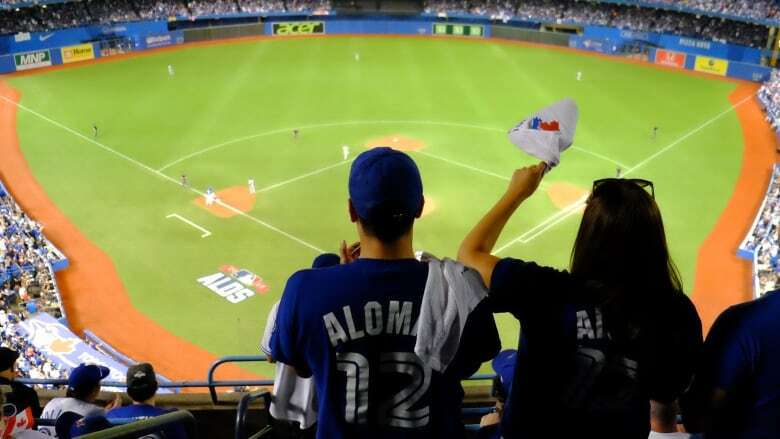 They would serve three functions: besides being the fan's ticket to the game, they would provide exclusive access to pre- and post-game events, and light up when the Jays hit a home run. "Bars and attractions around the stadium would have events only for people with these wristbands," explains Adrian Tarnachowicz, one of the students on the winning team. "So what it really tries to do is extend the game before and after the actual games." Tarnachowicz says many fans told his team they would still go to a game even if they knew the Jays would lose, suggesting the social experience can be as important as the action on the field. "People were telling us [the game] didn't last long enough in the sense that people had to organize their own activities before and after the game," he says. Within the walls of the stadium, Berest says the team must address the dreary concourse that rings the field. For example, at Mosaic Field, fans have an excellent view of the field from the concourse. "So you walk in and you immediately see the action on the field, the vitality of the fans in the seats. And anytime you walk out to the washrooms, the concessions, you have that direct connection to the field, you are still a part of it." He also suggests adding more party zones with tables and chairs from which people can watch the game, similar to what has already been done in centre field at the Rogers Centre. Other suggestions are more cosmetic, like installing LED lighting and a better sound system. "The other thing is intimacy. That's the biggest thing," Berest says. "SkyDome was of course developed as a football, baseball, monster truck venue. So maybe close down some seats in the 500 [upper] level and only open them up for big games." Another question is whether the team will install natural grass. The Blue Jays say it's the preferred option and the technology exists to do it under a retractable dome, but no decision has been made. Shapiro has said the installation and ongoing maintenance costs may make grass prohibitive. As for a timeline for the Rogers Centre renovation, Shapiro says fans should get a glimpse of how this project will take shape by the end of the season. "I would hope in five years there's a re-envisioning that provides people with multiple reasons [to attend a game]," he says. "Number one, always a winning team, but number two an experience that provides memories for generations of fans."